Want to stimulate demand for renewable energy? Send in the Marines. That was Navy Secretary Ray Mabus’s message on Monday when he outlined plans to slash the Navy and Marine Corps’ dependence on fossil fuels during an appearance on Monday evening at San Francisco’s Commonwealth Club. Reaching those renewable energy goals will be a gargantuan challenge. The Navy operates 290 ships, 3,700 aircraft, 50,000 non-combat vehicles and owns 75,200 buildings on 3.3 million acres of land. Last year the Navy launched its first electric hybrid ship, the Makin Island, an amphibious assault vessel that some have dubbed the Prius of the seas. On its maiden voyage from a shipyard in Pascagoula, Miss., to its home base in San Diego, the Makin Island saved $2 million in fuel costs, Mr. Mabus said. 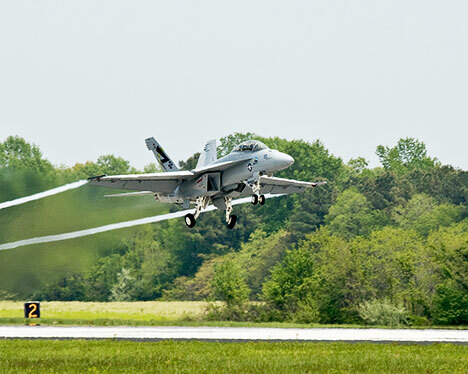 Two days after the Deepwater Horizon oil rig exploded in the Gulf of Mexico in April, a Navy pilot flew an F/A-18 Hornet fighter jet powered by a biofuel blend made from the seeds of camelina sativa, an inedible plant.